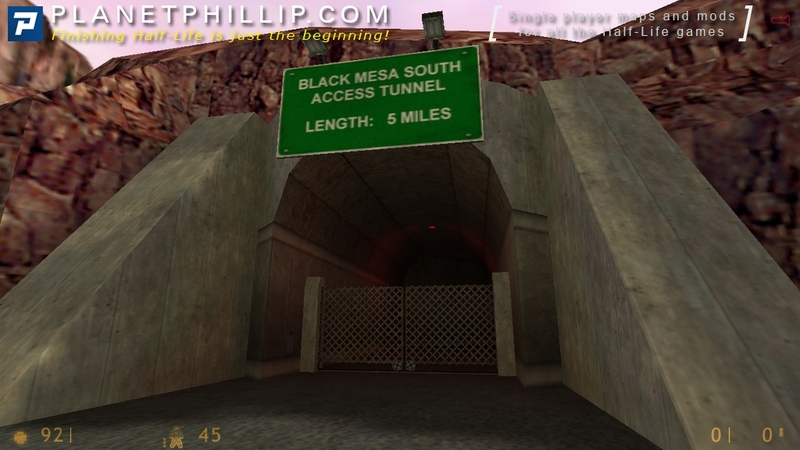 Calhoun is glowing green and is teleported to several locations, such as a Xen platform and a storage room in Black Mesa where he witnesses Gordon Freeman being carried off by a group of HECU soldiers to a trash compactor before transporting back to the scientists (a reference to the chapter Apprehension of Half-Life). Calhoun finally ends up back at the yard with the scientists, no longer glowing. They have fixed the SUV, and Rosenberg expresses his relief, explaining to Calhoun he is lucky not to have been caught in an infinite loop. Walter pulls the gate open, and the game ends. 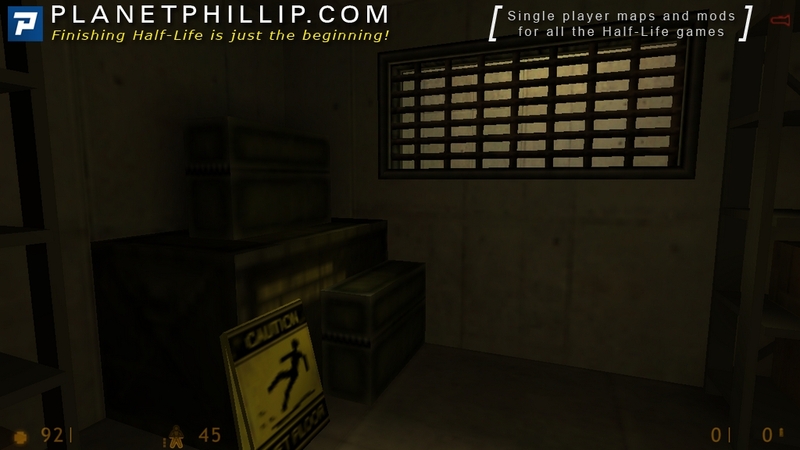 Blue Shift is the shortest game in the Half-Life series (with the exception of Half Life 2: Episode One) with all the events taking place immediately after the Resonance Cascade. It is interesting to note that aside from the PlayStation 2-only Decay, Blue Shift is arguably the only HL1-based game with a happy ending. 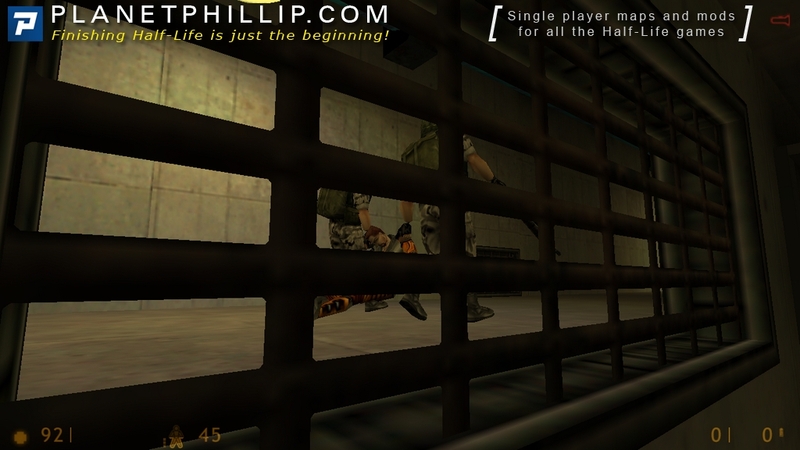 At the end of Half-Life, Gordon Freeman is conscripted by the mysterious G-Man, and Opposing Force’s Adrian Shephard is detained by the same individual to ensure his silence. 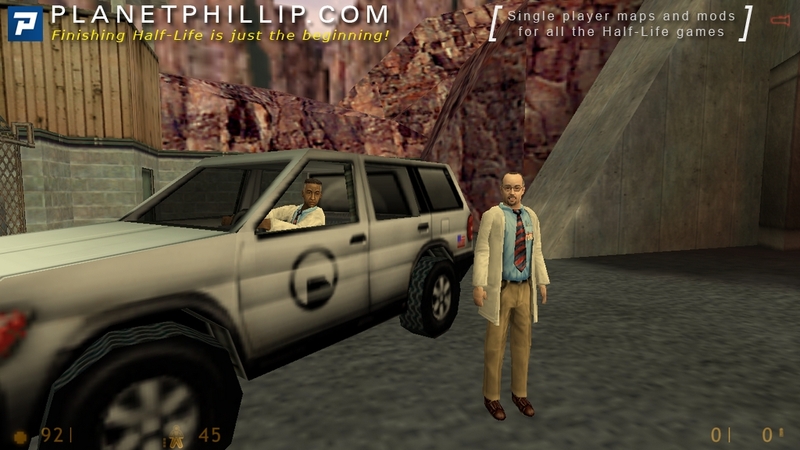 However, in Blue Shift, Barney and his three scientist companions escape Black Mesa and the scrutiny of the G-Man, whose brief report suggests either that he deems them too insignificant to bother further monitoring or eliminating or that they managed to escape while he was busy with Freeman and Shephard (the exact wording says “out of range”). And that, ladies and gentlemen, is that. 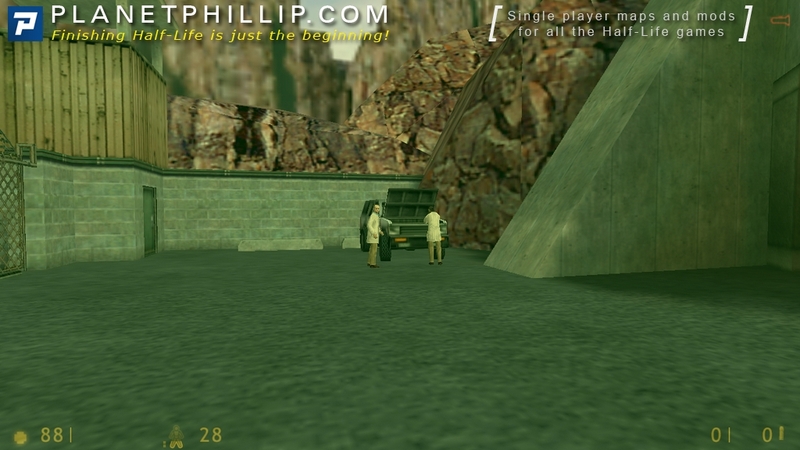 Certainly not a bad game but we can’t help but compare it to HL1 and OF. In that light, it definitely lacks the force and depth of the other games. Having said that, I still enjoyed and am very glad they made it and it got released. Look out for the TREE: Blue Shift Podcast early next week. Thanks for playing and I hope you enjoyed it. Stupid chapter : no boss and lame ending. Gearbox foreshadowed here what they did recently with Aliens Colonial Marines : they were lazy and screwed up their work. What happened to the team who did OpFor, “the greatest add-on of all time?”. Overall, Blue Shi(f)t is still the worst of the HL franchise, and several mods outclass it completly. I don’t think I need to make a video for this chapter, the only timesaver that can be done is jumping straightdown in the xen area. Just give me the same time as the others. As for a review of the whole game, well it’s awesome. Well, for an ending it was passable but rather anticlimactic. Still it was nice that thing turned out OK for a change. I thought they took it a bit too far by sticking in a reference to HL1 right at the end, which also just emphasizes how short this was in comparison. Playtime: About 2 minutes obviously. There were quite a few fun areas and enjoyable bits to Blue Shift as an expansion pack. I particularly enjoyed the middle chapters; Duty Calls, Captive Freight and Focal Point, but they were the only bits that I thought had really good gameplay. The problem is that it just lacked anything new or exciting, except for the HD pack and that is debatable since there is no improvement to the actual levels. Apparently Blue Shift was supposed to be more of a bonus mission for the cancelled Dreamcast version of Half-Life. In that guise I think it would be fine, but as it’s own entity it was pretty underwhelming. Blue Shift despite the fact that it was so short was one of my favorite games of the 4 Hl1 games. Mostly to the fact that there wasn’t a single chapter that annoyed me in particular compared to the other 3 hl1 games. Perhaps also because I’ve nice memories dating back to my first play through when suddenly everything looked different with the High Def pack. My favorite parts in this were clearly the Intro ride and all levels starting at the moment of the arrival at the Transporter laboratory. Captive Freight and surrounding levels were also very nice. A good game doesn’t have to be long although the longer ones are preferred of course. Heck, the “Deliverance” title didn’t even show up on my screen (Blue Shift Unlocked may be to blame). Not really worth discussing, there’s really no choices to be made here. It’s an OK ending, but the climax is terrible. Blue Shift Unlocked isn’t to blame. There’s no title in the WON version. So that was Blue Shift. What did I think of it? It was actually much better than I remember it being. I remember thinking it was just ok but it’s much better than ok. It is much shorter than HL1 or OP4, but I think it’s more tight and compact. Like MisterAddy said, this was originally supposed to just be an extra mission for the Dreamcast version, so when it was canceled, Gearbox released this so all the work on Blue Shift wouldn’t go to waste. 5 words or less: We made it Mr. Calhoun! To my mind Deliverance is a little weird. Rather than a boss we encounter randoms teleportation and finally the end. However Barney came to place already seen in other game: a Xen system that Shephard had eventually cross, and the corridor where Freeman get unlucky. This event set the end of Blue Shift about the half of Half-Life, nice! Personally I really enjoyed this game for gameplay and place similar to HL1. I heard something saying that it was originally designed for console like Decay, explaining it’s short lifetime but it still amazing. In my mind, and despite it have no real novelty, it is 10 time more entertaining than OP4. But no novelty means no interest for modders, so that, it seems that only one mod have been ever created for Blue Shift. Like in Decay, the G-man is absent in Barney’s trial, except a little apparition in the beginning. That probably why he managed to escape. We don’t know why but the G-Man didn’t look after Barney, probably overbooked with Freeman and Shephard. Final thing is the absence of a boss. BS is probably one of those rare FPS game without a terrible enemy to defeat. Obviously the strongest monster is the tank in Captive Freight but it can be skipped. What can we say? Everybody can’t be a superhero! As a result, IMHO, Azure Sheep is, and will always be, the “true” Blue Shift. 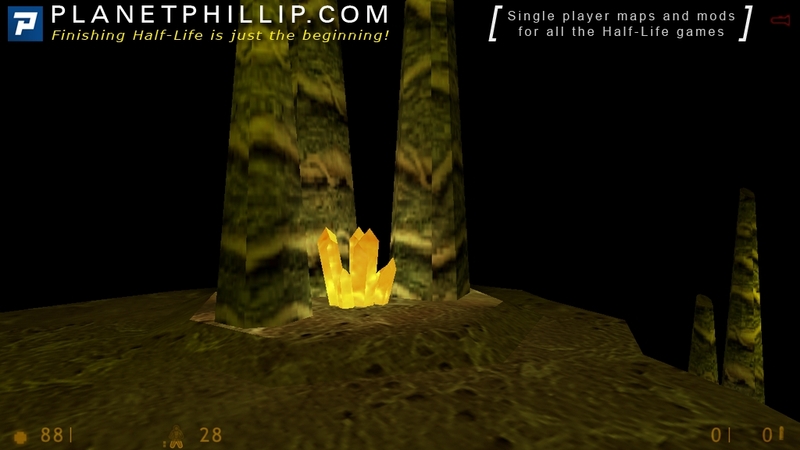 -new enemies, and bosses (from the “cut content” of HL1). -new gameplay : now you’ve a buddy to take care of!! -fun parts, with a better encounter with Gordon in his Ferrari, and many encounters with Gman!! -and if you count the counterpart “Point of View”, it’s like the bonus chapter of Decay in an entire game/mod!! Nah, it can’t be helped. We were 3 years after HL1 release, waiting hardly for any info about HL2, and they released… this?? It was like giving the finger to the fans. But, I can find one true point of interest in Blue Shift : retconning the history of the crowbar. Indeed Azure Sheep is one of the better mods for Half-life and a must play. It offer an excellent alternative to Blue Shift but Just Barney is not Barney Calhoun. I like both AS and BS, this my Point Of View. The title didn’t show up for me either. And compared to the mod Deliverance, one of my favorites, this entire game wasn’t even that great..